Do you use coffee grounds in your garden? Pick up those bags of grounds left out for customers at your local coffee shop? Marie asked about coffee grounds recently, and I answer her question on my latest Lelo Homemade show....you can listen to it here. Remember last week we were talking about drama in the garden? I talk about my favorite plants with black foliage, and what inspired me to add more goth into the garden in the first place. But the best part about the latest show? A nice, long chat with Marisa McClellan, author of Food In Jars, one of my favorite resources for canning inspiration, recipes, and ideas. Marisa is originally from Portland, and now lives in Philadelphia. She shares her memories of gathering produce at Sauvie Island, what inspires her canning explorations today, and we chat about her plans for canning this summer. I'm intrigued with her fruit butters! Also, I ask her about the recent discussions I've been seeing about the concerns of BPA in canning lids, and get her take on it. Thank you, Marisa, for sharing your time and thoughts with all of us: your passion for canning and farms and fresh produce is inspiring. And thanks go to all of you who are listening. Word is we're up to over 8,000 of you listening in: wow! Thank you. Thank you for your questions, support and interest. If you have questions for me to answer, or topics you'd like to hear me talk more about, let me know. 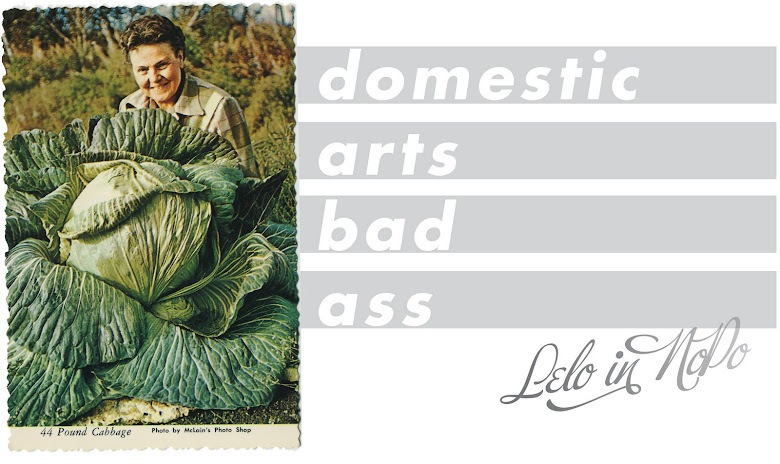 Listen to the most recent episode of Lelo Homemade here. we totally hit up starbucks for coffee grounds. and once we got a bonus stainless steel over-priced coffee-making-thingy! I started a goth garden last year and sadly the winter was not kind to it. I can't wait to hit Al's on Saturday and look for some replacements! Wow, I'm excited to listen to this show! RSG-goth gardens are dramatic, but alas, not always long lived. i want to hear what your replacements are. Jacquelyn-yeah! marisa is such an inspiration: you'll love it. My rhodies, azaleas and camellias love the coffee grounds. i dilute them with water and then pour more water over that, to kinda spread them around. miss you, lelo! i'll try to give the show a listen. too busy lately. Listening right now - omg, I can use coffee grounds on my blueberries! Brilliant! I was wondering where I was going to find pine needles. Glad to know there's another source for acid in the garden. We've got plenty of grounds! Yay!